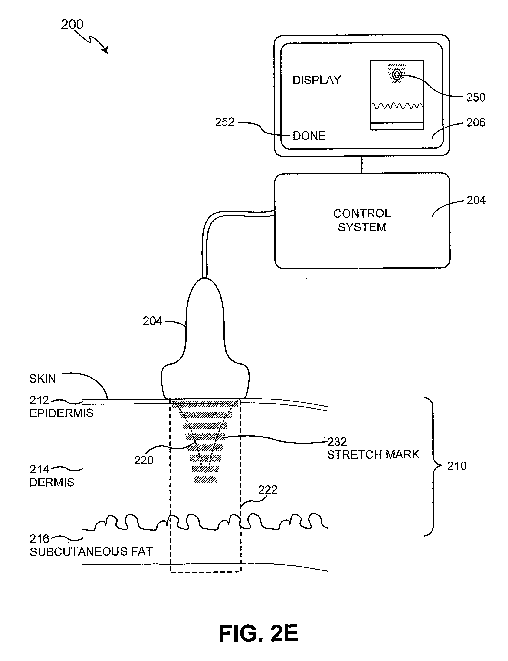 Methods and systems for non-invasive mastopexy through deep tissue tightening are provided, comprising a therapeutic ultrasound system (200) configured for providing ultrasound treatment to a deep tissue region (210), such as a region comprising muscular fascia and ligaments. 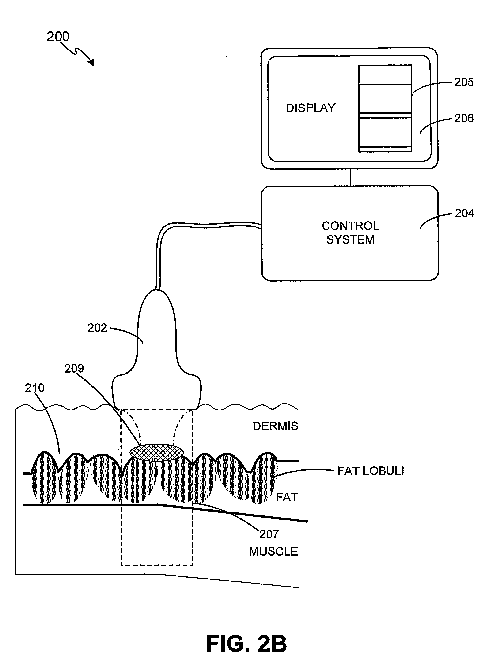 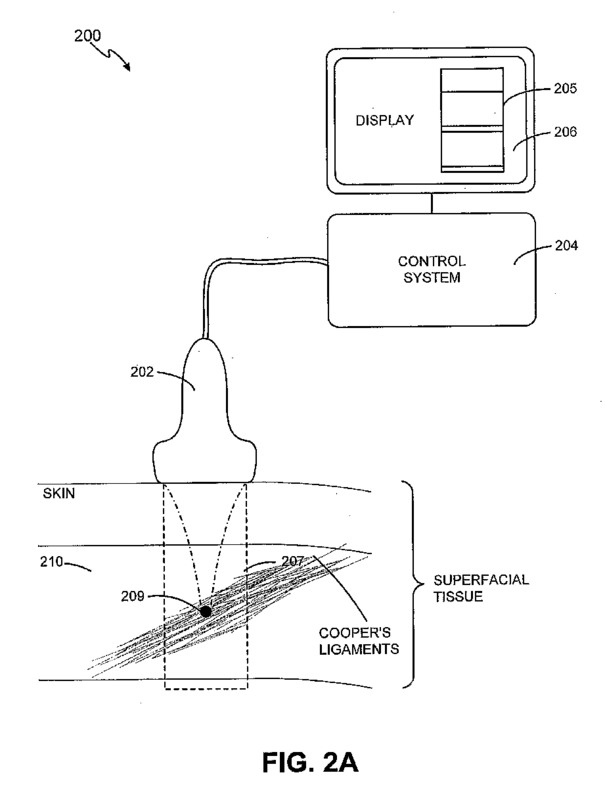 A method and system for treatment to a deep tissue that contains a lower part of dermis (214) and proximal protrusions of fat labuli into the dermis is also provided, which delivers ultrasound energy to create a thermal injury and coagulating the proximal protrusions of fat labuli, whereby eliminating the fat protrusions into the dermis. 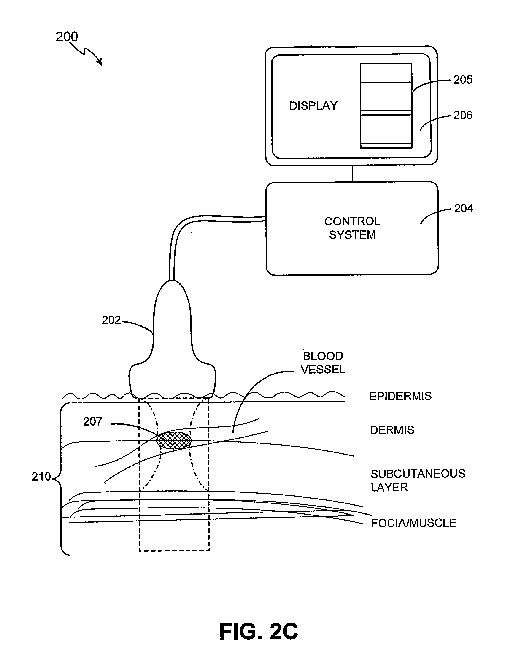 A non-invasive method and system for the treatment of blood vessel disorders is provided, wherein a transducer (202) is configured to deliver ultrasound energy to the superficial tissue to treat blood vessels. 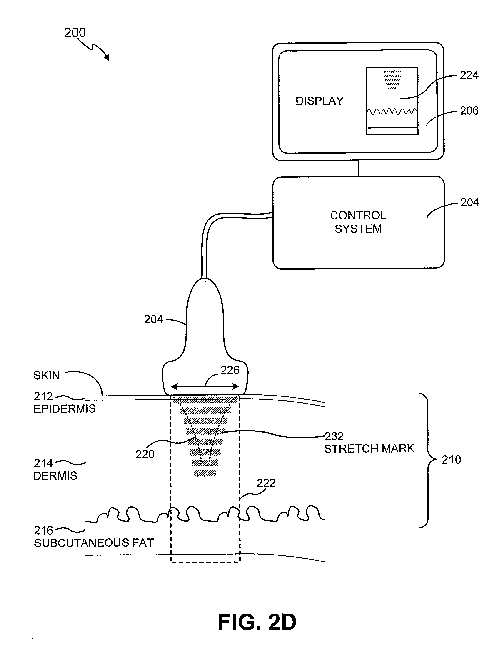 Methods and systems for treating stretch marks through deep tissue tightening are provided, comprising a therapeutic ultrasound system configured for providing treatment to a shallow tissue region.